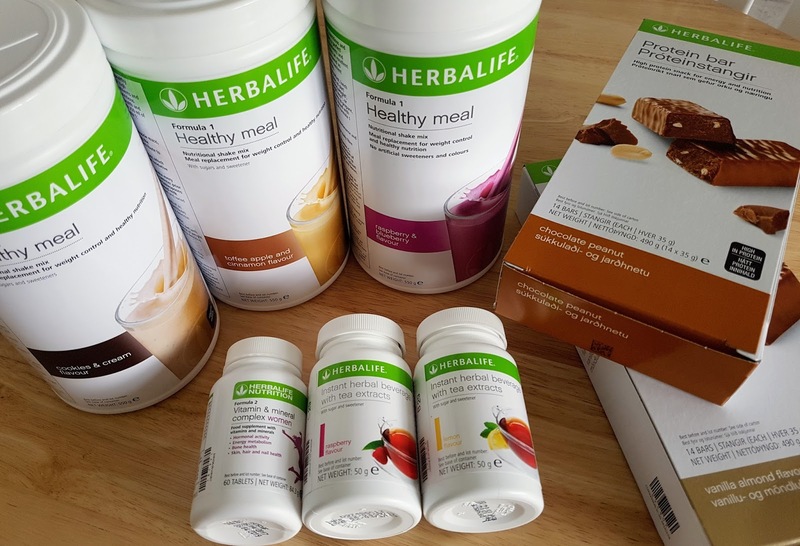 Well, here I am - a week into my Herbalife journey, still standing, still going strong and I just wanted to write a quick post to let you know how I feel the week has gone. 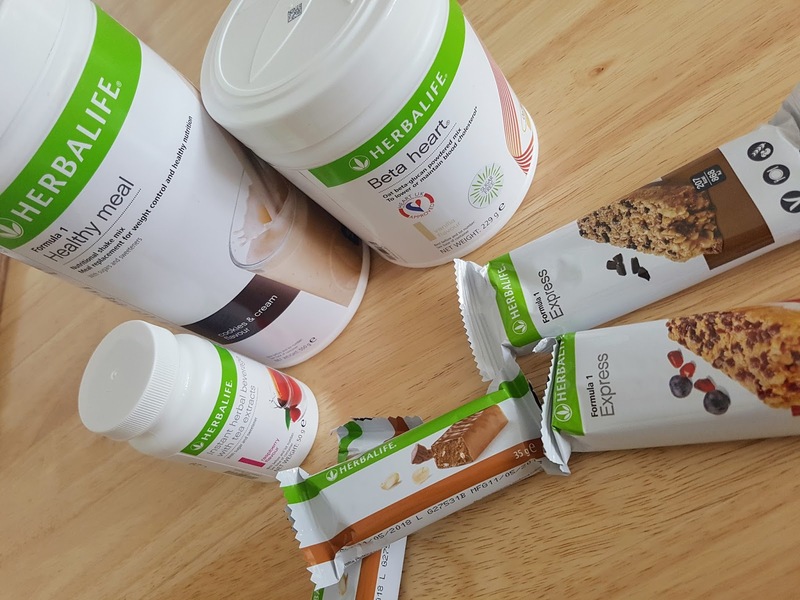 What exactly did my Herbalife days consist of? My Herbalife package hadn't actually arrived but I decided to use the shakes and bars the Hubby received earlier on in the week - I felt ready to get started today and I think if I had put it off, even for just one more day, then I would have gone a tad crazy - I mean of course I like copias amounts of biscuits but there are only so many I can shovel into my mouth each day before I start to feel terrible. And I really did feel terrible in myself. 5am - coffee, two sweeteners, dash of skimmed milk. 7am - strawberry shake - two scoops of shake powder with one scoop of beta heart formula, made up with 250ml of unsweetened almond milk. 10am - citrus protein bar. 11am - coffee, two sweeteners, dash of skimmed milk. 1pm - a fruity (rather chunky) meal bar instead of another shake. And then the rest of the week pritty much followed suit. Surprisingly I took to it quite easily and kept the momentum going a lot better than I thought I would. Actually having something in my system besides coffee before 11am - when I usually have my after playgroup brunch - has made me feel a lot better in myself I must say. I did have a little wobble on Wednesday, late afternoon time, and I told the Hubby that this just wasn't a plan for me and that I was stopping doing it, but it wasn't even out of hunger - I wasn't hungry - it was out of wanting to snaffle the contents on the sweet draw. I was blooming paddying like...well, like my toddler - I gave myself a talking to and carried on. Hunger wise I haven't felt totally ravenous at any point during the whole week at all and this did really surprise me - I expected to be wanting to crawl into bed at 6pm in a "I want food" mood but it wasn't like that at all. And I'm putting this down to the fact that the spacing out of the shakes and the bars meant that there was no more than a two to three hour gap between having something, which I felt helped keep the crazy hunger at bay. That said though, each and every day, just before I was due to eat/have a shake, I did begin to feel the twang of hunger creeping in so I made sure I had my next something straight away. Do I feel any different - well yes I do actually, I mean I don't think I can see any physical changes in myself at all but I do genuinely feel a lot less bloated and a lot less sluggish than I did last week. Did I loose any weight - despite not thinking I had at all, my scales this morning show a four pound weight loss which I am not going to argue with - it's given me the push to aim for the same this week too. In the house between the two of us we have six different flavours of shakes and I've tried four of them over this week with Cookies & Cream having to be my favourite so far and Vanilla coming in a close second. And then there are the meal bars - we have two varieties of these - the Berry one is nice, but oh my goodness, the Chocolate one is the one for me. I'm actually also a huge fan of the Roasted Soy Beans as a snack too - very nice and quite like eating a bag of peanuts...only in healthier form - I like how the little bag seems to last forever too. So yes, taste wise I was very pleasantly surprised. Water intake - pah - I'm still bloody rubbish at this...I mean why is it so hard to drink water? Anyway I managed to drink more than I ever have done before each and every day but I didn't get the suggested full two litres down on any occasion apart from on day one so that's something to work on next week. Exercise, well a lack of "free time" and the Hubby working long hours again put a dampener on my plan to get out running and to get to a Spinning class again, but it is just something else to work on next week. And so, all in all, I reckon the week has gone well - I've had a pritty good weight loss, I feel better in myself, I haven't struggled with the plan and actually, having the bars to pick up has made life a bit easier for me really - especially with it being school holiday time - it's one less person to think about at meal times.